Rather than waiting for something to break down to get it repaired, you can do something to help you prevent a lot of issues from ever occurring. Our company provides regular maintenance services that can ensure that all of the different parts of your garage door are all working optimally, and this not only prevents a lot of problems, but extends the system's overall longevity as well. We'll check everything from the panels to the opener to make sure that all of the different components involved in the operation of your garage door are in the best possible shape. Any bending to tracks will be repaired; any damage to the panel will be patched and fixed. We'll also lubricate the rollers and the hinges, which will make the panels' movement a lot quieter. 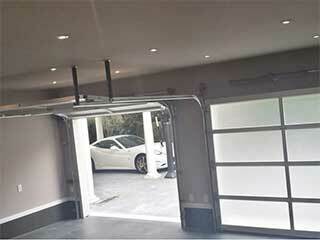 One of areas we pay particular attention to is the garage door opener. This unit controls the movement of the door, which is why checking its safety features on a regular basis is absolutely crucial. We'll make sure the alignment of the safety sensors hasn't shifted and that the door immediately reverses when it encounter any type of obstacle. These are perhaps the most important parts of your garage door, due to the fact that they're the ones that make it possible for you to open and close it without effort. Our team will inspect their coils for deformations and lubricate them to reduce their working strain. If we find that the tension needs to be adjusted or that spring replacement is needed, we'll carry out the necessary procedure on the spot without delay. Instead of waiting for your system to break down, let our experts at Garage Door Repair Maple Valley prevent that from happening. We'll make sure your door operates at peak efficiency, and that it's able to keep working for a very long time.